More people have been killed at American schools this year than have been killed while deployed in the U.S. military. The number of babies born to American women dropped to a 30-year low in 2016, with 3.85 million births, according to new federal statistics. With growing numbers of women delaying childbirth into their 30s or forgoing it altogether, the general fertility rate for women ages 15 to 44 was 60.2 births per 1,000 women—the lowest rate since the government began tracking more than a century ago. 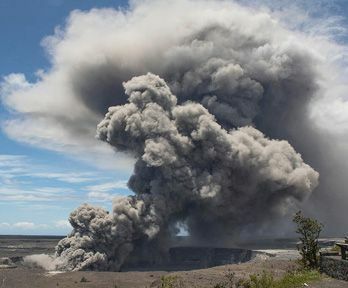 There are 169 potentially active volcanoes in the country, according to the United States Geological Survey. About 50 volcanoes located in six states—Hawaii, Alaska, California, Oregon, Washington, and Wyoming—are rated high priority or highest priority for monitoring for potential eruptions. Mount St. Helens in Washington is considered the most likely volcano to erupt again. The 115th Congress is averaging just over 10 pieces of legislation passed and signed by the president every month, and most of them are purely ceremonial. At the current pace, this Congress is on track to pass less legislation than any since the 32nd, which met from 1851 to 1853. About 65 percent of those arrested by ICE from October 2017 to the end of March had no criminal convictions—compared with 21 percent during the same period the year before, and 13 percent the year before that. 50% of Americans favor the Supreme Court’s decision to allow sports betting in any state that authorizes it, saying people are already betting illegally anyway, and legal betting will bring more revenue to state governments. 37% are opposed. Among those who oppose the ruling, 66% fear that more people will fall prey to gambling addictions.